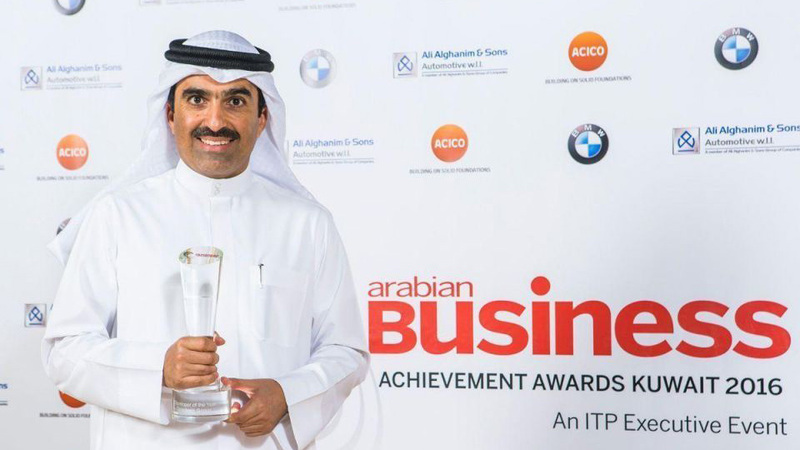 Kuwait, 2 May 2016: Kuwait’s Tamdeen Group, which has grown dynamically into a regional powerhouse, was awarded ‘Real Estate Developer of the Year’ at the Arabian Business Kuwait Awards 2016, a prestigious event which celebrates the very best in business achievement, both on a corporate and individual level. The awards night, held at the Jumeirah Messilah Beach Hotel in Kuwait, recognized Tamdeen Group’s considerable contribution over the course of the year in landmark Kuwait property projects. The award, which was adjudicated by an independent panel, was handed over to Mohammed Jassim Khaled Al Marzouq, Chairman of the Tamdeen Group. Al Marzouq, said on the occasion: “It is a great honour for our group to receive this prestigious award. Tamdeen Group has a strong record of being a leader across diverse business segments in Kuwait and I am delighted that Arabian Business has recognized our impact on the country’s private sector. “This accolade would not have been possible without the effort of our entire team and this award is indeed dedicated to their hard work. “Tamdeen Group is investing a substantial US$330 million (KWD100 million) into the Sheikh Jaber Al Abdullah Al Jaber Al Sabah International Tennis Complex, which is connected to Kuwait’s most iconic mall 360 MALL. The new development will uniquely combine retail, sports, hospitality and entertainment facilities in Kuwait’s South Surra district. The highlights of the expansion include a state-of-the-art tennis facility, and the latest equipment related to this sport,” he added. Tamdeen last year announced the US$ 700 million Al Khiran development in south Kuwait to bolster the country’s retail and tourism growth. A one-of-a-kind development, the project will include Kuwait’s first high-end ‘Outlet Mall’, two high-rise residential towers, one furnished apartments tower, a marina to house over 900 boats - the biggest in Kuwait - and a 5-star resort style hotel with an international spa component. The group also owns and manages the new AL KOUT MALL, set to formally open in the fourth quarter of 2017, which is a fusion of traditional architecture and modern contemporary design and will be a true representation of the growing lifestyle, shopping, leisure and entertainment aspirations of Kuwait. Besides these, the group also own several other community shopping centers, while constantly innovating on its project pipeline. Tamdeen Group now owns assets valued at over US$ 4 billion (KD 1200 million) and a wide variety of companies across the retail, real estate, entertainment, cinema, and investment sectors.